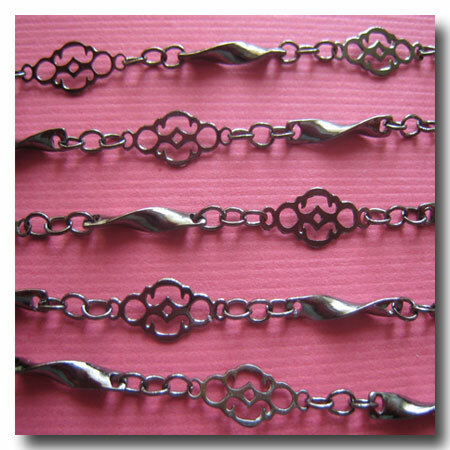 GUNMETAL FILIGREE VINTAGE STYLE CHAIN. FINISH: Gunmetal. BASE: Brass base. STYLE: Decorative vintage filigree style. WEIGHT: Light. DIMENSIONS: 30mm x 5mm. Also AVAILABLE in: Gold Plate 1-117 and Silver Plate 1-136.